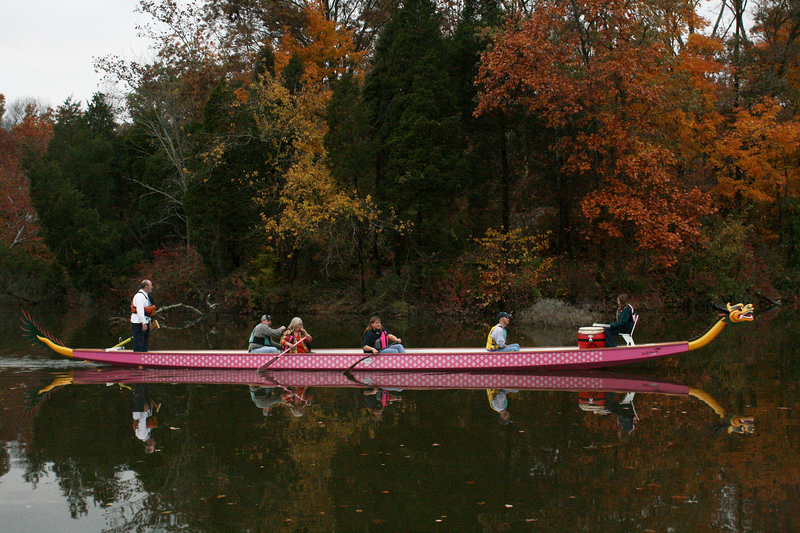 The Kentucky Thorough-Breasts is the only dragon boat racing team in the state. Their team is entirely made up of breast cancer survivors. They race in a 54-foot long traditional dragon boat, which was funded by a grant from the Susan G. Komen for the Cure organization. I am a member of the MOVin Dragons of Marietta OH in SE OHIO. I am often in Covington KY to visit my sister and would like to connect to your team. I am a breast cancer thriver of 8 years. Please let me know how I might connect with you guys.